Nibar Madar adds paisley to her boho vibe, perfect for an upscale eco-resort..
Nibar Madar celebrates Earth Day in Mexico with fashion aplenty. 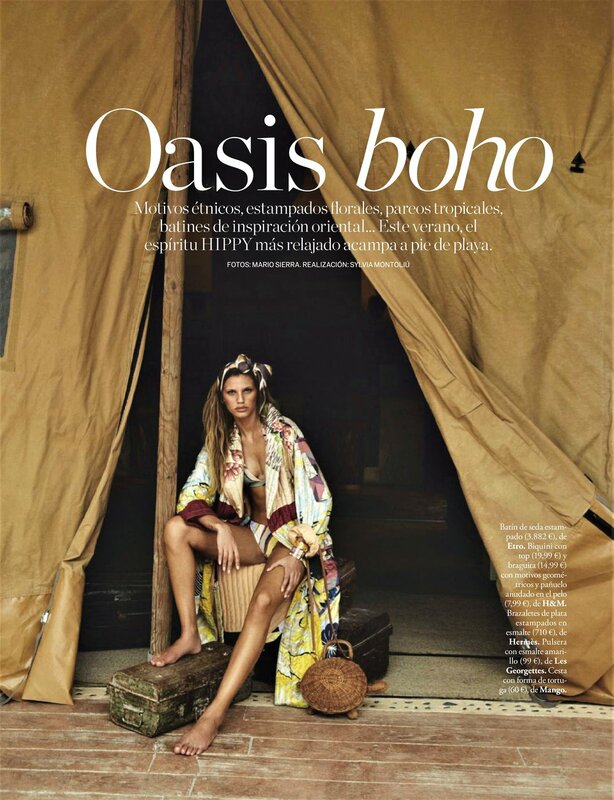 Nibar Madar is styled by Sylvia Montoliu in relaxed boho looks perfect for glamping. Madar is on location at the Serenithy Eco Luxury Tented Camp. An enthused travel blogger writes about her stay at Serenity Camp. Call her enchanted. PS: the prices also appear to be affordable.